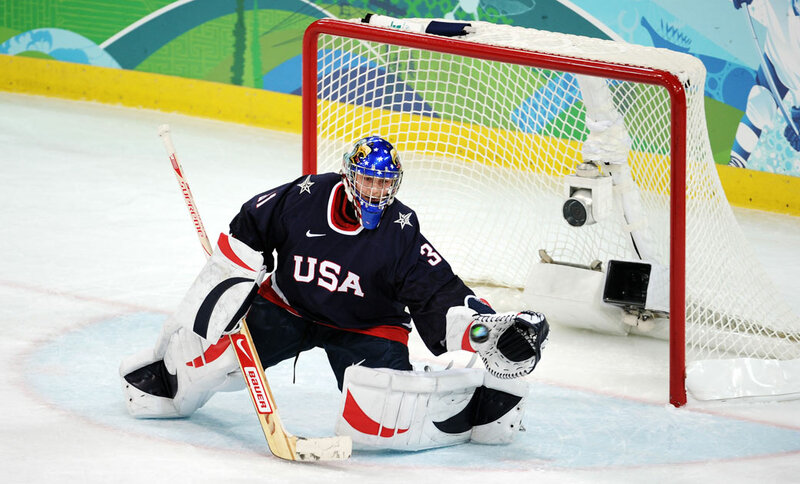 Jessie Vetter is a member of the 2014 United States Women’s National ice hockey team. She’s a 2010 Olympic Silver Medalist, Three-time NCAA champion, and also a spokeswoman for the American Family Children’s hospital. Check out the interview below to learn more about Vetter’s Olympic experience, her hero, how she prepares for a game, and much more! Melissa Seymour: Tell us a little bit about yourself and what you do! Jessie Vetter: I grew up in Cottage Grove, WI. I have three brothers that helped grow my love for sports. I’ve been playing hockey since I was five years old and played with the boys all the way through high school. I attended the University of Wisconsin to play hockey. Now I’m a member of the 2014 Olympic team. MS: What’s it like being on the USA Women’s Hockey team? JV: It is an honor to represent your country and be a member of team USA. I still get goose bumps every time I put on the USA jersey. I’ve made some great friends and the memories we’ve made over the years on and off the ice will be with me forever. MS: What’s the best part about your team? JV: The Olympics are unbelievable! I’m looking forward to meeting all of the athletes and my favorite moment is walking out during Opening ceremonies with all of the US athletes and hearing the United States of America anthem. MS: How do you prepare before a game? JV: I don’t do anything specific before a game. I just get a coffee before the bus trip, juggle the soccer ball before we get dressed to go on the ice and joke around with my teammates. MS: What challenges have you faced in your hockey career? JV: Growing up, I played hockey with the boys because there weren’t any girls on the team at that time. JV: My family is my hero. They’ve supported me over the years and I couldn’t do what I do with out them. MS: Do you have any advice for young women hoping to play for the Olympic team like you? JV: Work hard…don’t give up…have fun!